Former Marine Hospital will be site of museum, projected in spring of 2018. 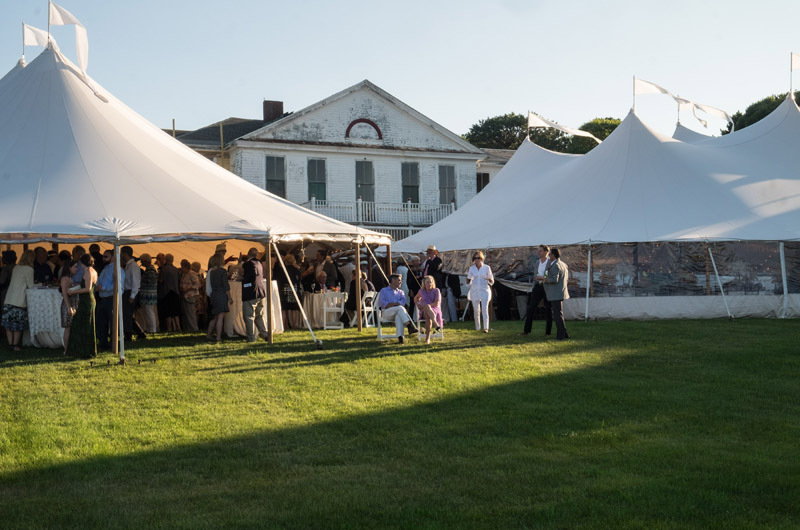 On Saturday evening at the Evening of Discovery event, the Martha’s Vineyard Museum’s annual opening of summer party and fundraiser, white flags billowed on stately sailcloth tents, and Gatsby-esque chandeliers hung from the tent’s ceilings. 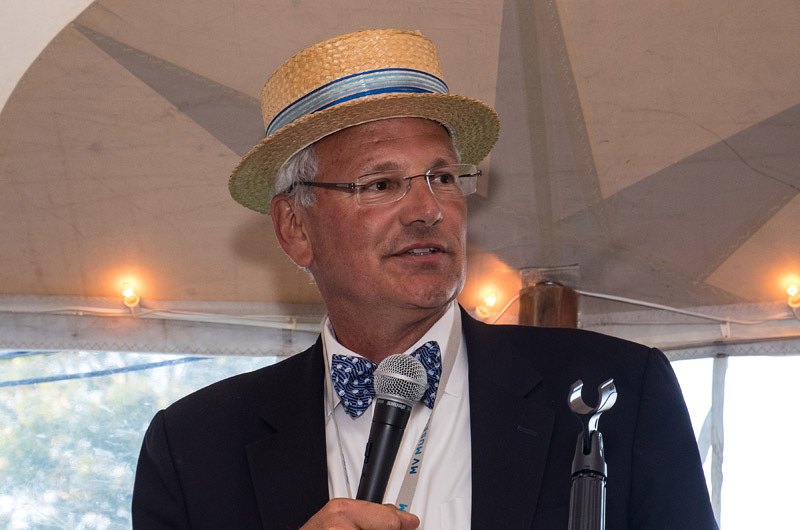 The event took place at the former Marine Hospital in Vineyard Haven, the future site of the museum, and guests recreated a bygone time to celebrate history and the future of the organization by wearing flapper dresses, beads and Panama hats. It was the 1920s again and anything seemed possible. New executive director Phil Wallis welcomes the guests. The building itself reflects this idea. It is a gorgeous old building, with high ceilings and strong bones. Though it has been abandoned for decades, it has a regal air of wanting to continue to tell a story. Its windows are industrial and its doorframes are classic. A few years ago, Denys Wortman was cruising along Vineyard Haven Harbor and looked up at the old building. He saw that it was for sale. He convinced the museum of his plan, construction plans began, donations were made and the opening date of the new museum was set for the spring of 2018. At the event Phil Wallis wore a straw hat made by his wife, museum events manager Katy Fuller wore a sparkly blue flapper dress, and former curator Dana Street pulled her hair back with a feather-adorned headband. Before dinner was served, various donors raised their hands and on the spot paid for the construction of the museum’s future bathrooms, windows and benches. Mr. Wallis gave a vigorous toast. He then took off his straw hat and replaced it with an yellow construction helmet. Louisa you painted a wonderful picture of the event. Your grandfather I am sure is proud of your writing ability. Looks like a great event and a wonderful project!